Since the earlier posting on this online collection of aerial images I’ve had a better look around, and in a fit of enthusiasm set up a ‘York and Yorkshire’ group to collect together and some of the images I’ve been looking at and adding notes to. This automatically gave me the rather alarming title of ‘Group Leader’. I have no idea what this involves. But if you’d like to contribute your local knowledge to the group, please pop over to www.britainfromabove.org.uk to create an account (just needs email address and password). 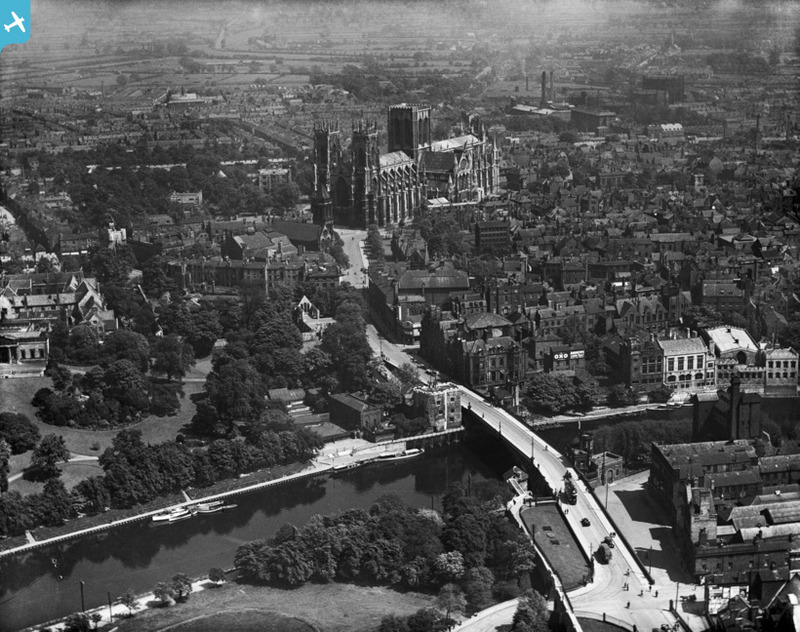 You’ll notice I’ve stuck pins and notes all over the place on some of the York images. While not being sure if these should have been added to the Wiki. But I’m wary of the Wiki. Anyone who understands it all better than I do, please do join and assist. Come along and join in the debate over whether there are tennis courts visible on the grass at the Eye of York, near Clifford’s Tower. Zooming in, and sometimes panning the photo right/left, via the controls on the top left of the images, is usually necessary to see the detail and the complete picture. The most interesting image, I think, is the photo capturing the Terry’s factory under construction, with scaffolding on the famous tower. On 29 March 2012 I was up that way taking photos of the demolition of some of the buildings on the site. In the background of the same photo is the church on Campleshon Rd, also being built in 1926. By Lisa @YorkStories • 1 July 2012 Web/website matters To link to this page's proper location please use the > permalink.